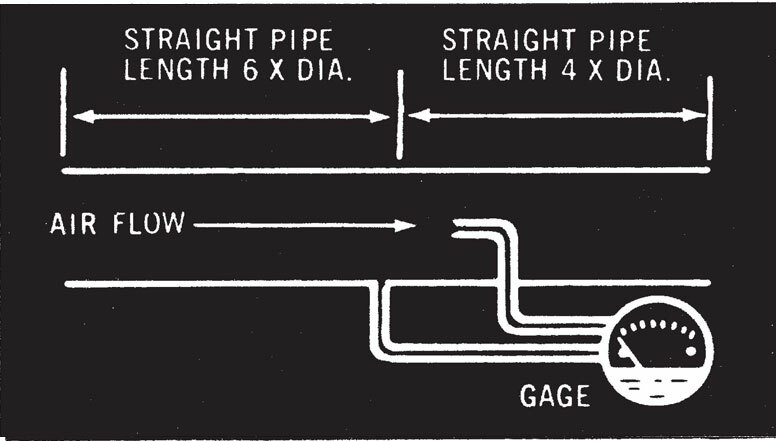 Gauge Connections: 1/8" NPT high and low pressure taps, duplicate one pair side and one pair back. Valves showing are extra. 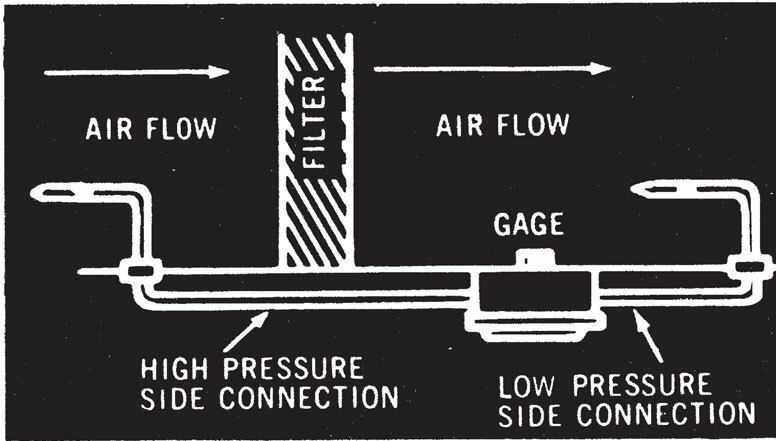 As an Air Filter Gauge measuring pressure drop across an air filter to indicate when filters need servicing. 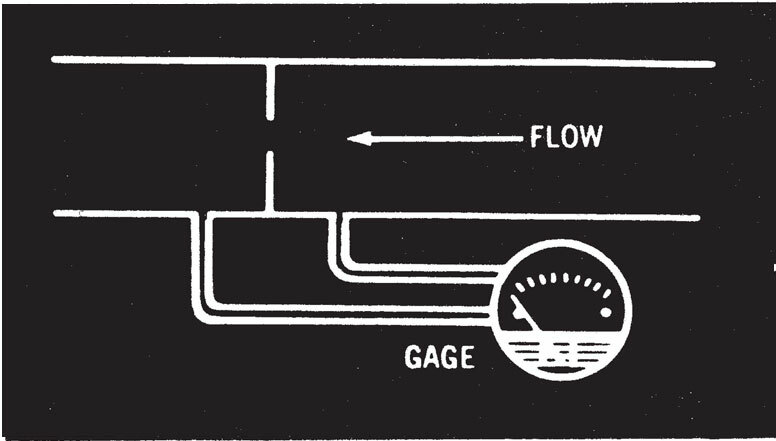 Sensing static pressure in an air system. 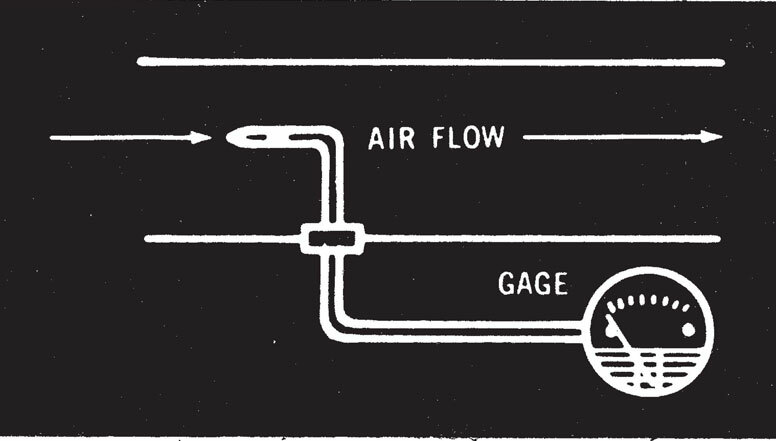 Measuring air velocity in determining volume of flow. 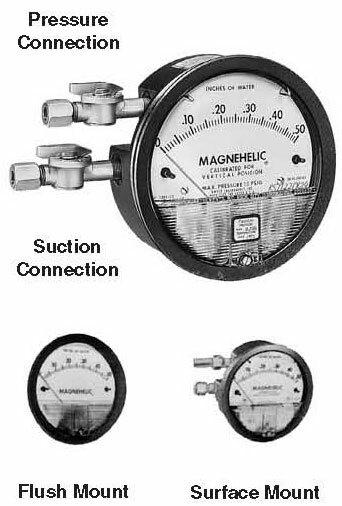 Other magnehelic gauges are available in PSIG, KPA, and CM of water. 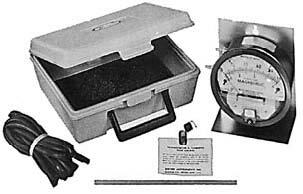 To sense static pressure For the most accurate measure of static pressure in an air stream, use a gauge connected to a static pressure tip such as DWYER Model A-301. 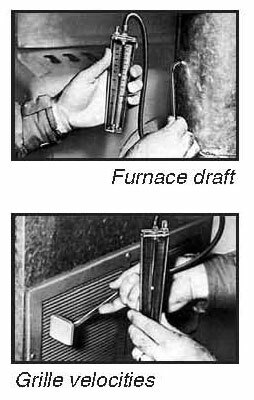 As a gauge to check air filters Gauge gives an instant visual indication when filters need servicing. 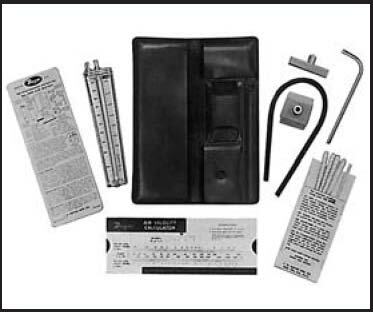 Air filter gauge package (A-605) Adapts any standard Magnehelic for use as an air filter gauge. 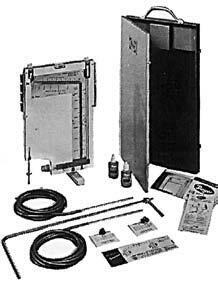 Includes surface-mounting bracket, screws, 10 ft. tubing, two static pressure tips. two 1/8" SPT plugs, two 1/8" NPT to tube adapters, and flush mount adapters with screws.